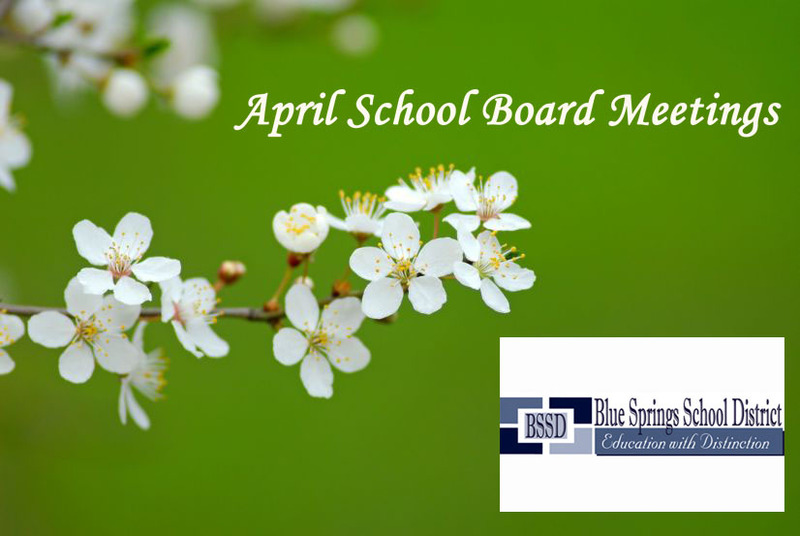 The Blue Springs School District’s Board of Education will meet Monday, April 9, at 6:15 p.m. In addition to routine items on the agenda, such as hiring new teachers for next school year and deciding on the date of the last day of school this year, board members have a full schedule. They will be attending to annual board organizational business as well as reviewing a revised district policy. Three incumbents — Kent Bradford, Jennifer Casey and Kay Coen — will take the oath of office to begin new terms as board members Monday evening. There was no public vote in Blue Springs last week, because there were no challengers for the three seats that came up for renewal. According to Missouri State statute, when the number of candidates matches the number of vacant positions, no ballot is required. This law is intended to save money for the district, which otherwise would have to pay the bill for the election. In other organizational business, board members will elect a new president, vice president, treasurer and secretary to serve during the coming school year. Also during the Monday meeting, Blue Springs board members will consider approval of a revised Discrimination Grievance Procedures policy for the district.